JFK was shown a scale model of the proposed National Cultural Center as part of a White House luncheon on October 8, 1963. The complex was later named the Kennedy Center. 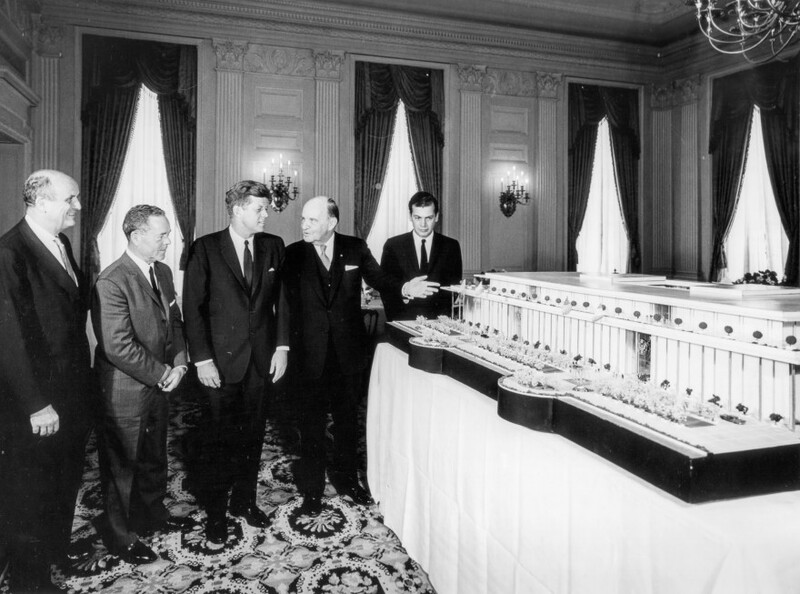 President Kennedy inspects a scale model of the proposed National Cultural Center (later named the Kennedy Center) at a White House luncheon of the Business Committee and Special Gifts Committee of teh National Cultural Center. Photo by Abbie Rowe / National Archives.